The Ocotillo master planned community features many gated subdivisions. Gated condominium developments include Cantabria Shores located right next to the Ocotillo Golf Resort. The Bridges at Ocotillo, a 234 unit development offers 2 car garages and 9 foot ceilings. Single family homes within Ocotillo include The Peninsula, Watermark, Ocotillo East, Embarcadero at Ocotillo, The Vistas at Ocotillo, and Balboa Point. Fulton Ranch offers 2 condominium subdivisions within the newest Chandler lake community; Serenity Shores and Crescent Falls. Fulton Ranch Townhouses & Condos for Sale Another Chandler single family home community is Lagos Vistoso, built between 2003 and 2005. An exclusive 20 home gated luxury waterfront community in Chandler is Wellington Estates. For those that wish to build their own custom luxury waterfront home, The Island at Fulton Ranch may be for you. 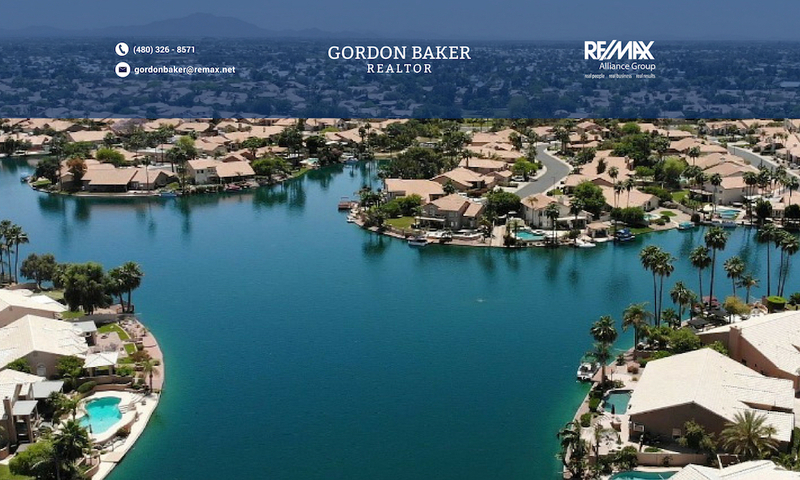 Some of the most expensive and luxurious waterfront homes in the southeast valley are found within the water ski lake communities of Crystal Point and Santan Lakeside Estates with their own 13 acre tournament ski lakes. 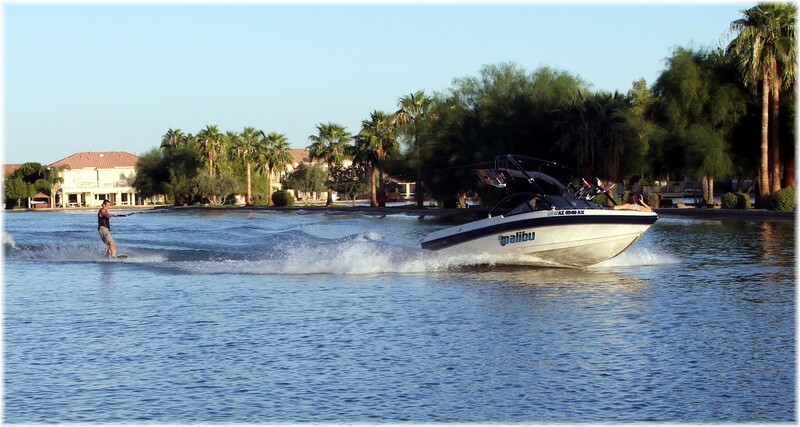 Another water ski and wake board lake subdivision in Gilbert is Playa del Rey Estates. Other gated Gilbert lake communities are found in Val Vista Lakes, one of the valley’s most amenity rich developments. The two community swimming pools, clubhouse, recreation center, tennis courts and on site community personnel help make this a tight knit community. It also enjoys great freeway access and proximity to many Gilbert parks. West Lake Estates in Val Vista Lakes features some of the most luxurious waterfront homes in the community. 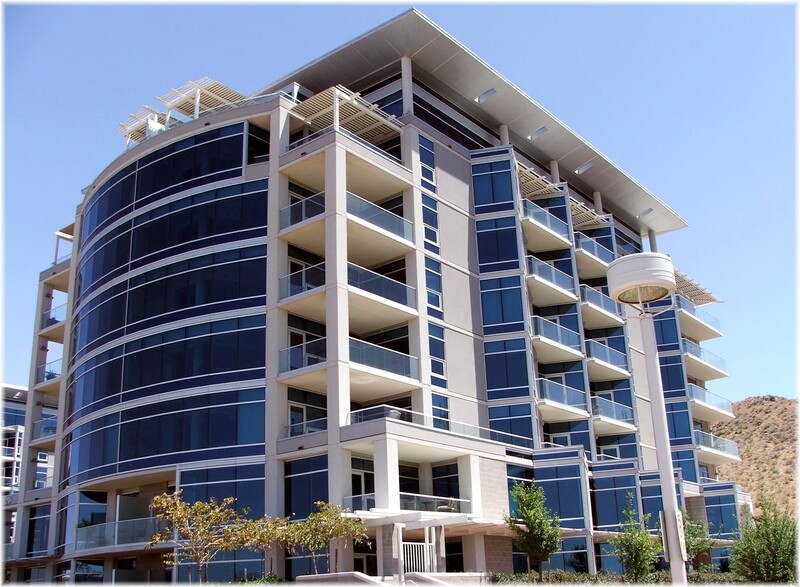 When you mention luxury gated Tempe waterfront property, your attention turns to Tempe Town Lake and the luxury condo developments that create an urban luxury living setting. Two of the most impressive developments are Edgewater and Bridgeview. 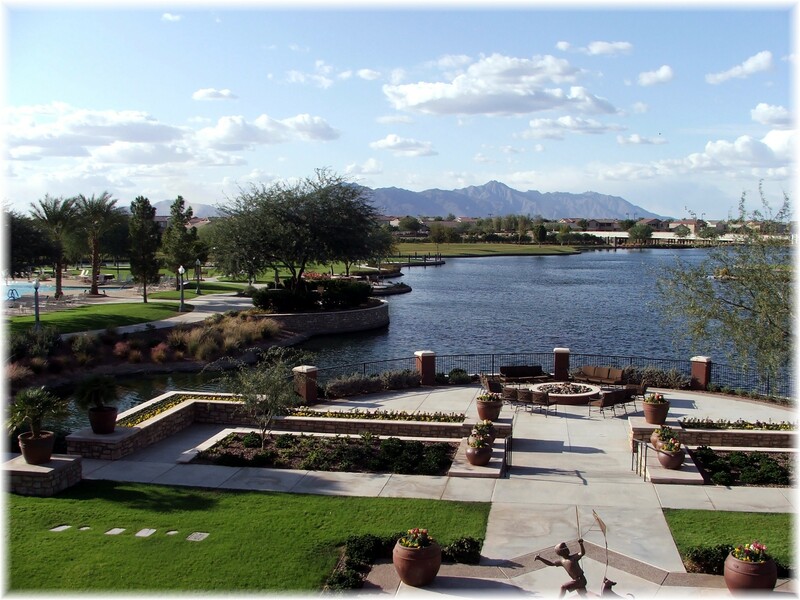 Mesa gated lake communities are not as numerous as its east valley neighbors. Lake Park condos are near Dobson Ranch and set in along the fairways of the highly rated Dobson Park Municipal Golf Course. 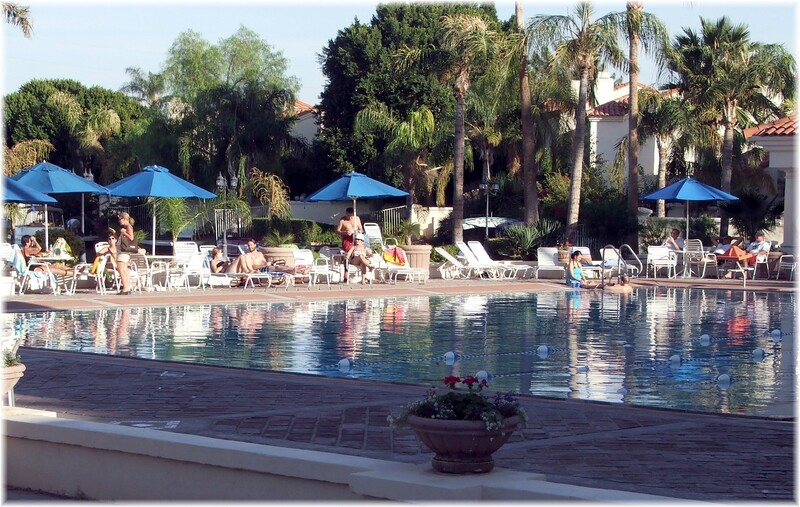 For active adults with an interest in a lake community in Mesa, check into Leisure World. 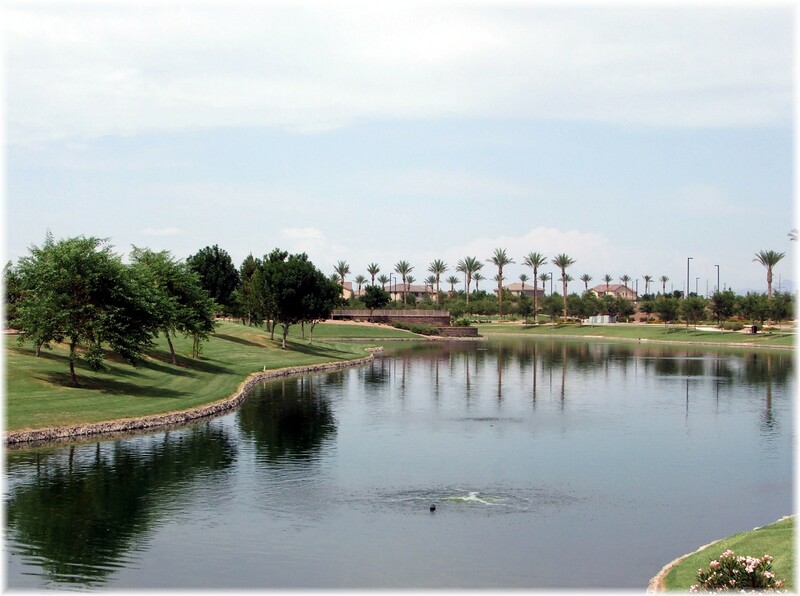 One of my favorite gated condo lake communities is Superstition Lakes Condos. A quiet community surrounded by a golf course and man made lakes. It enjoys great access to the US60, shopping and dining. This is a perfect development for anyone looking for a vacation home during the winter months. 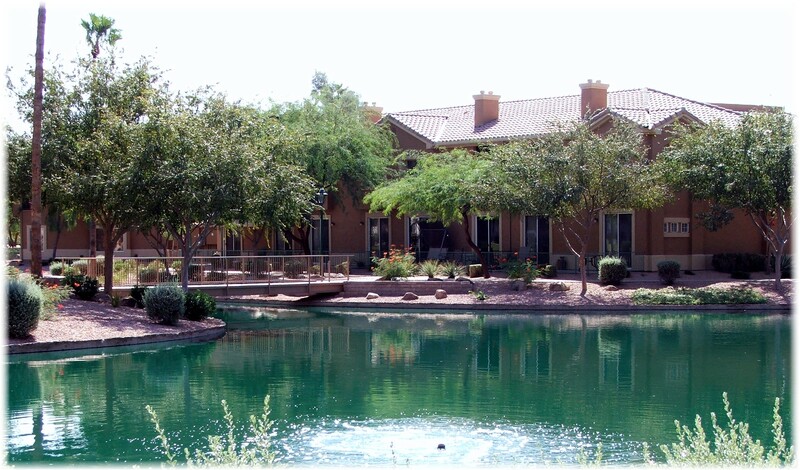 One of the most impressive active adult retirement lake communities in the Phoenix area is Province in Maricopa. Complete with a gated entry and impressive community center, this development was voted the best active adult community in 2006. Here’s a link to waterfront homes in Maricopa. 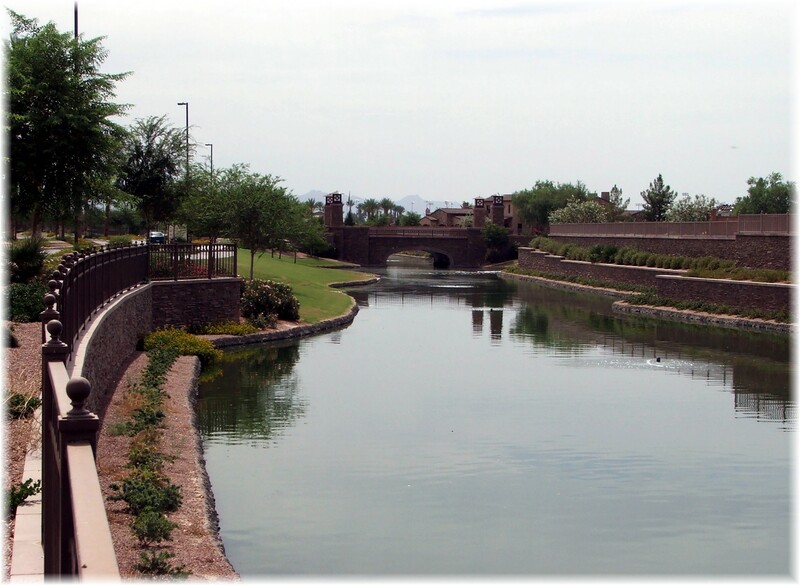 The majority of the Scottsdale gated waterfront properties are found in Scottsdale Ranch. This 1,100 acre development features homes built by Geoffry H. Edmunds, Costain Arizona, Scholz Design Builders, Dix Custom Homes, Golden Heritage, Trammel Crow, LaBlonde Development, Felker and others. Specifically, the gated communities are Las Brisas, Monterey Point, Mountainview Lake Estates, Scottsdale Bay Club, The Island at Scottsdale Ranch and Landings at Scottsdale Ranch. Scottsdale Urban living can be found at Scottsdale Waterfront Residences. Another popular Scottsdale lake community is Gainey Ranch. Gated waterfront communities are throughout the Phoenix valley and I have only highlighted a couple of the cities and communities that feature these unique subdivisions. For a specific search, please click on Gated Waterfront Home Search and describe the home you’re looking for. More general area information can be found at MyHomeInAz. Or feel free to call or e-mail me directly.